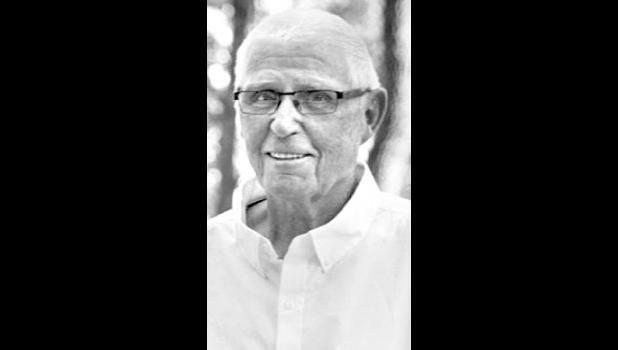 Ed Horn, 73, Topeka, formerly of Hoyt, passed away Monday, Dec. 3, 2018. He was born Nov. 30, 1945, in Logan, the son of Myron and Mercedes (Carey) Horn. On Sept. 24, 1971, he married Colleen Sue “Susie” Gibbs in Topeka. She survives. Other survivors include three children, Oliver (Betsy) Horn, Boise, Idaho, Laura Freeman, Topeka, and Mandy (Evan) Meyer, Topeka; 10 grandchildren, Dustin, Jasper, Ashlea, DJ, Chase, Jessica, Jaycee, Alex, Emma and Chloe; six great-grandchildren, Ayden, Harlow, Zach, Charlee, Kole and Taryn; four brothers, Jim Horn of Salina, Chuck Horn of McPherson, Danny Horn of Galva and Nick Horn of Hays; and three sisters, Veda Brasted of Logan, Peggy Campbell of Phillipsburg and Idona Duncan of Stockton. He was preceded in death by his parents; son, Doug; three brothers, Frank, Roger and Clayton; and one sister, Shirley. A memorial ceremony will be held at 11 a.m. Friday, Dec. 7 at Parker-Price Cremations, Funerals and Receptions, 245 N.W. Independence Ave., Topeka. Visitation will be held on Thursday at the funeral home from 6 p.m. until 8 p.m.